In this article, blogger Rodney Washington will show you a simple four-step process so you can better communicate with your target buyer while making more money from the very beginning. 1. Focus On Creating Connection – It’s tempting to only want to show or talk about your work and immediately ask for the sale, but often in the beginning people just want to get to know more about you, your personality and perhaps your process. Make it easy for your audience to connect with you. 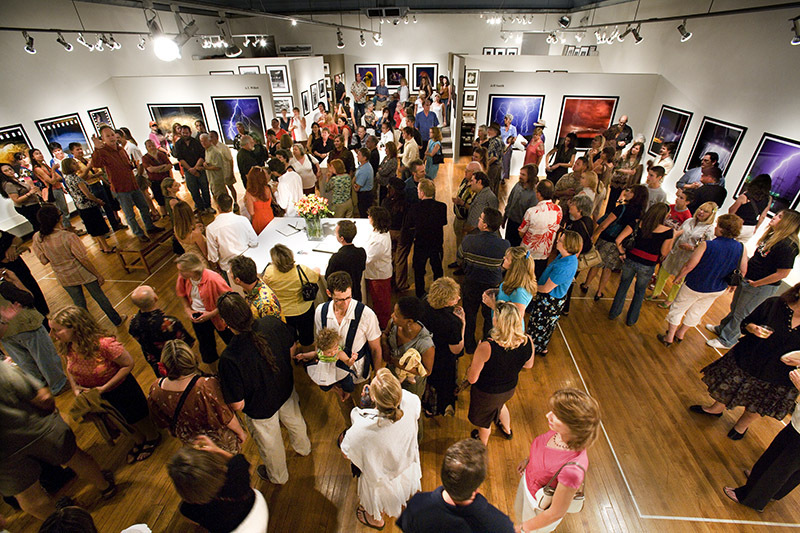 ~ Host a open house and speak directly with your guests, tell them about your latest inspiration, series, etc. ~ Ask them for their thoughts on your latest body of work, presentation, products etc. 2. Always Be List Building – Usually your customer will not buy from you on the first connection, they will want to get know more about you and that happens over a period of time. One of the most effective ways is through maintaining communication with your audience by sending a series of targeted follow-up emails and/or building connection using social media platforms like Facebook and Twitter for example. When you send or post your follow up messages to your followers or subscribers don’t bombard them with “buy my stuff’ messages. That’s called spamming and it won’t work. On the other hand, if you focus on providing lots of valuable usable content like photos, videos, audio replays, a worksheet template, an article, a 20 minute telephone or skype chat for example these will go a long way towards establishing and nurturing relationships with your followers that lead to sales. Question to ask yourself: What do I have of value that I could freely to give to people who follow me? List Building Tip: Whenever you meet new people invite them to connect with you on social media or to opt-in to your online mailing list on your blog or website to get your latest goodie. 3. Create A No-Brainer Offer – Often times new potential customers are not prepared to invest in your higher ticket items on the first encounter, but it doesn’t mean that you can’t make easier for them to work with you. Look for ways to create what I call “entry level” pieces. The key is to price these items or services under $50 dollars. Make it something that new customers can find high value in and easily say yes to. Keep this in mind: It’s far easier to sell to an existing customer than to find a new one. So that $50 dollar entry level product could lead to higher priced sales if your customer perceives and receives value from the entry level items you offer. In other words, everything you create must provide value. 4. Always be seeding the next step – The most common mistake I see entrepreneurs make is never introducing or what I call seeding the next opportunity to work with you. For example, let’s say you want to write an ebook why not seed throughout the book the next logical step? For a new author that could be to work to with you directly or to sign up for your course on topics discussed in your book. Think about last time you went to Starbucks, (assuming you drink coffee) were you offered a sample of a new blend, pastry or whipped drink? That’s called seeding. You may or may not purchase the item you sampled but if you enjoyed it, hopefully it made enough of an impression on you that you’ll order it on your next visit or better still, tell a few friends about it.